If you’re busy running a business or department, web development software probably is a topic that rises to your mind on a lot of different occasions. However, you may start thinking about it when you meet with a team like ours, or simply begin exploring the different ways you could gain revenue or cut costs through your website. Most of the clients we meet with will admit they don’t know a lot about web development and software. That’s perfectly fine. We don’t need them to be experts in our field. Instead, we just have to help them understand what we do and why it matters to their plans. 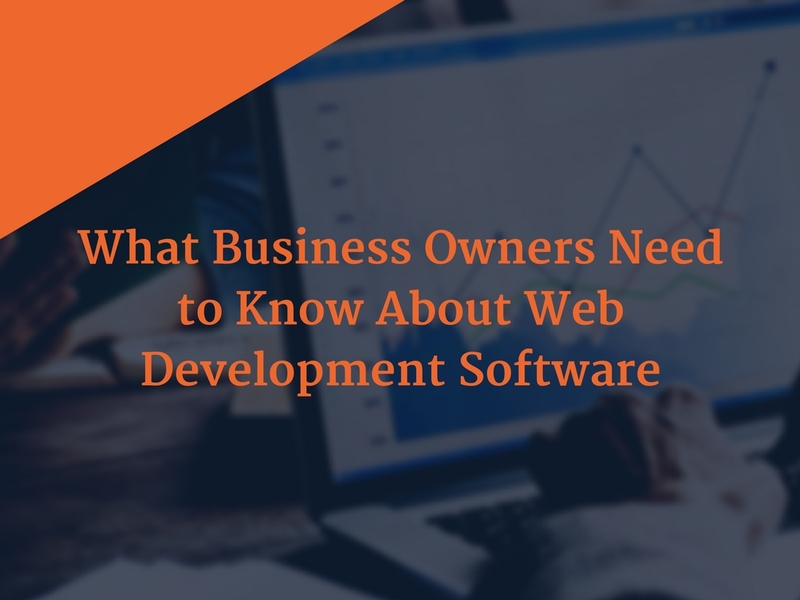 There are a lot of web development software systems out there, and a lot of different firms claiming that the ones they use (or have developed) are the best around. However, it’s important to remember these are all just tools. A hammer or a saw is only as good as the person using it. The same goes for programming. It doesn’t really matter all that much what your web developers use as long as they have the right skills, experience, and mindset. With the point about web development software being dependent on skills and talents out of the way, it’s not a bad idea to ask your designers or programmers which software solutions they prefer. You may even want to find out why they like one product or another. That isn’t because there is a “right” or “wrong” answer, but because you want to have an idea about their thinking and expertise. In other words, you want to be sure they are using the right tools for the job, not just the ones that happen to be closest or easiest to master. In the end, you really don’t have to know a lot about web development software to get custom programming as a client. You simply have to be sure you know what your website will do, and that the final applications are going to be stable and secure. We always encourage the business owners and executives we work with to ask plenty of questions, but don’t worry if you aren’t all that comfortable with, or interested in, the technical details. Need More Clarity on Custom Web Development? Custom web development can be a complicated and technical topic. However, your creative team shouldn’t use jargon or acronyms that go over your head – they should help you to understand exactly what you’re going to get for your time and money. If you’re tired of being confused about custom programming and want to learn about the bottom line business possibilities, now is a great time to talk with the WebRevelation team. Initial consultations are free, and we'll be happy to answer all your questions. Reach out to us today!